Of late, I’ve had a nagging feeling of being stuck in a rut both in my day job and film-making. I have already taken a few proactive mini-steps with regards to the day job and they have highlighted what a positive breath of fresh air “change” can actually be. I now need to do the same with the film-making side. Unfortunately I have the type of personality which has trouble drawing a line under something and moving on. So I have been working things through in my mind. The biggest hurdle has been comedy short Etiquette. For ages (over a year) it has just been sitting doing nothing. I created a large amount of half-finished “bonus material” to put on the DVD (a perk which was promised to the fine folk who backed us – to be fair we did invite all of our backers to a BAFTA screening as a special additional bonus perk). But other things were always getting in the way. So in the spirit of remaining focused, being positive and moving on, I’ve spent the last couple of weeks working hard to complete this. Making a DVD takes a lot more effort than I previously recall (it’s been quite a while!). The biggest obstacle turned out to be the fact we shot the film in film/23.975 frames per second, but all other material was shot in 25 frames per second. The DVD format is a fickle old beast which doesn’t take kindly to mixed frame-rates like a Blu-ray does. I had great fun getting the film to play in 25fps UK PAL format and without any stutters or the cast sounding like they are Smurfs. With the exception of a couple of remaining Spare Change commitments (most notably a screening for the cast and crew), I now feel liberated and ready to take on new and exciting projects. At present my thoughts lean towards a couple of small low-key learning/experimental projects. Soon after those I would plan to tackle something significantly more ambitious – a Ghost story called The Curator. Hopefully I will covering more about this project in the near future. pal·pa·ble [adj] capable of being touched or felt: tangible. Three versions of our film, so you can see how the editing process evolved. The first is Sherilee’s original edit. The second sees me take Sherilee’s edit and add a few flourishes of my own. 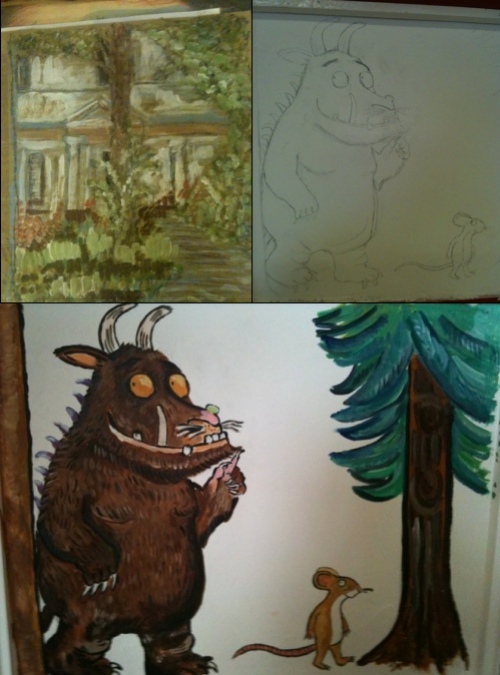 The third is the final version, which is a collaboration between us both. A commentary track. I was hoping to do a track with Sherilee, the crew and actors. However time constraints getting us all together means this is unlikely. At the very least, I will fly solo. I really enjoyed doing the Gardening and other crimes commentary, so hope I feel the same this time also. We have had the “okay” from the Yellow Square team to put the original version of the film by Dan Collier on the DVD. Now you can compare and contrast the original version against our shameless remake. A few short interview clips with the cast. 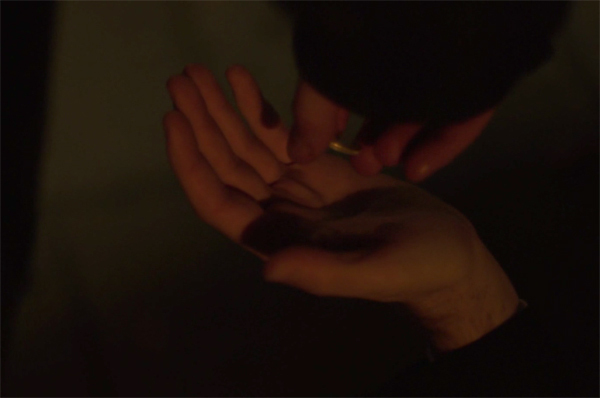 A copy of my first film – Gardening and other crimes, as promised on the IndieGoGo campaign. Any making of featurette. We were hoping to do one, but don’t really have the time right now with Spare Change waiting in the wings. It could materialise at a later point, but don’t hold your breath! Send me an email petition if you really want this! Bloopers. We had a lot of fun during the production. For whatever reason (probably time related), there were not enough clips to make a full blooper reel like we did last time. If your network/bandwidth disappears (and occasionally it does here living in a village), it ruins the whole viewing experience. Not that this is applicable to all online services, but if I like the film, I don’t want to have to pay each time I want to see the film. I don’t want to install anything to get around the digital rights management so I can view it. I don’t want it to expire after a set period. I just want to pay a set amount and re-watch at my own leisure without fuss. I find it much easier to forget about films in the “online” environment. They are more disposable. If I have a copy, I can look through my collection and there it is! Streaming works well with things I am only ever going to see once. Personal one this: I don’t know if others the same. If I sponsor a project on the likes of IndieGoGo, Kickstarter etc, I rarely show much interest in “online streaming” versions. If I sponsor a project, part of the charm is getting something tangible at the end of the process as a perk. The quality still isn’t quite there. Perhaps I am way off here as I’ve not researched recently. Has anyone streamed anything from an “online” source which has DTS surround sound from a legitimate service? Did it come with commentary tracks, extras, subtitles etc or was it just the film? The most obvious is the huge reduction in overhead costs and delivering it to others. I mean you can upload to YouTube or Vimeo for free. There are other solutions such as the aforementioned Distrify. With online-rental, I’d be curious to know if recent “stamp price increases” will have an affect. Perhaps it is driving the likes of LoveFilm even more towards this model. It can be available almost instantaneously. Optical media physically takes up more space than files on a hard-drive. I’m sure everyone has their own take on it, love to hear other opinions. Meanwhile speaking of project sponsorship a moment ago, I see the US is introducing some new laws for Crowd-sourcing. Interesting! For those of you still reading, one last thing. I’ve slightly updated the Ferny Films website content. Aesthetically for anyone who’s already seen it, it’s much the same. The content was out of date however and it was becoming a royal pain to update. Hopefully now improved a bit. Once again I find myself updating the Blog on a Friday evening. I’m beginning to wonder if this is the only free time I have! It’s barely been a few weeks since we finished filming Etiquette and already I’ve become completely restless, wanting to find another project to keep me out of mischief. Enter Gail Hackston (aka ScriptPunk) who I’ve been chatting with on Twitter. She pitched a few short ideas to me which I then narrowed down to a couple I’d consider. After reading, I’m happy to report I have selected a follow-up project which is called Spare Change. This is a smaller project than either Gardening and other crime or Etiquette (my films are getting smaller in length – I’ll never get to make a feature at this rate). In other ways it will actually be more challenging technically speaking (did someone utter those words which every film-maker fears – “night-shoot”?). It is also quite a departure from the style of the previous projects (must keep shaking things up and pushing myself!). I’m thinking of releasing this as a charity project to raise awareness for homeless people. It’s all rather exciting and very early days still. Suspect we would be looking to shoot this sometime early next year. I’m happy to say that Layla Mirmalek (who not only acts, but also produces some wonderful mural art – see below) has agreed to help with storyboarding. Sherilee will also be returning as producer. In fact I will aim to retain as many people as I can from the last shoot as it went so smoothly. I will be speaking to Sherilee in more detail about this project over the next week. We will also be going over Etiquette editing. Our current estimate for releasing Etiquette is sometime around January/February. Our Indiegogo campaign has ended now and we raised $185, which after fees works out at about $137. Of course we spent (and will still need to spend) more than this, but even so I have to say a massive thank-you to every who contributed, it really helped! 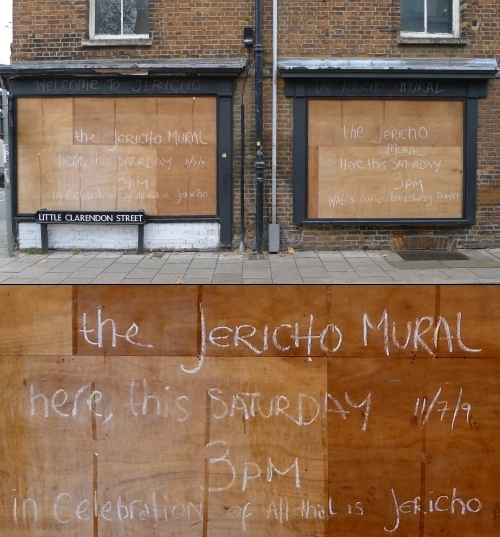 Mentioning murals earlier reminds me of a local thing which saddens me. 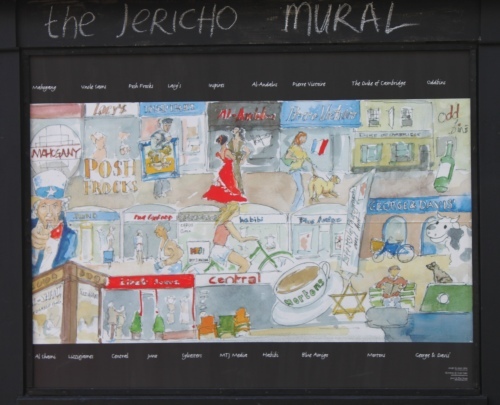 It appears that the wonderful Jericho mural in Oxford is being ripped down along with the wonderful building it hangs off. 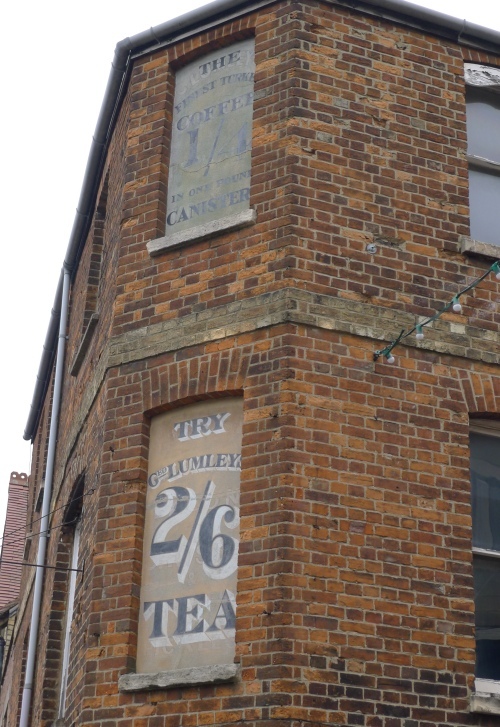 I was really hoping to use this building for a period project as it has some wonderful historical coffee/tea adverts over some of the windows (which I assume might even be a hang-over from the days of Window taxes). Such a shame! And what will be in it’s place? A Tesco store! We clearly need another Tesco store, especially as there is a Co-Op a few metres down the street. Ho-hum! Anyway, below are a couple of photos I took of it when it first opened in 2009. It added a real vibrant splash of colour to the community. I know it was well loved by most of the locals also, will be sad to see it go! You can also click here to see some photos by JudyGr. Things have once again been horrendously busy this week. I keep hoping to slow down soon, but that isn’t necessarily going to happen for a while yet. Quite why I leave it to blog so late on a Friday night I’m not entirely sure, I should definitely get out more! There has been some editing happening behind the scenes on Etiquette. Unfortunately because of a graphics card failure we are slightly in a limbo state before things are able to resume. Please be patient, the Apple guys are on it! I was going to cover a little bit about what I see as the key differences between the shoots of “Etiquette” and my debut “Gardening and other crimes” (which I will refer to as GAOC from now on). The shoot for Gardening and other Crimes (GAOC) was longer. To be fair the script was at least twice the length. To be unfair one “fixing” scene was shot almost a year later. To be fair again, it was filmed whilst I had a very understanding pregnant wife and I had a few other distractions to contend with after the shoot. Conversely we only had two days to get the whole of Etiquette finished. In some ways this was great as it focused the mind. In others, it was nice not having the pressure of losing any locations or cast/crew if we didn’t finish on time. For GAOC, I was already a friend of Brian Conroy who played Samaritan. He suggested his friend Frazz Jarvis as Daniel. Originally we had an actress in place suggested by Frazz (see what was happening here). Unfortunately this actress had to pull out at the 11th hour. Thankfully Zinta Gercans came to our rescue at very short notice and was thrown in at the deep-end! These were all local actors who were mostly from a theatre background. With Etiquette, I had Sherilee’s prior experience as a casting director/assistant to fall back on. So rather than word of mouth we advertised and auditioned everyone. The other key difference is that Etiquette has twice the number of characters. A comedy about a person with a social phobia meeting people who doesn’t meet any people would have been quite dull otherwise. The crew had expanded on Etiquette. In “almost” the same words as wise old uncle Ben in Spiderman “With expanded crew comes greater responsibility” (and management). With GAOC I had mostly people I knew helping me and we kept the crew to the bare minimum (which was mostly the fab three – Jim Gwilliam, Sybil Mayard and Quentin Morrissey). In terms of sourcing for Etiquette, I still had friends involved (Jim Gwilliam again, this time with Adam Radley), Sherilee also did the same on her side (Adam Evans, Rachael Ballard). But for the most part this was a different and larger team than previous. Thankfully they were all great. With GAOC Sybil Mayard was a constant being the sound-recordist and I have to say this was extremely comforting. Sybil has since moved from Oxford, and our original recordist dropped out at the very last-minute (you have to learn to deal with these things when dealing with unpaid work. I was readying myself for this job worst case). Thankfully we did manage to find two separate sound-recordists (Hannah Shaw-Williams and Peter Hudston), although both had differing styles/personalities. It’s not easy to tell what the full impact of this might is at this stage, but I’m curious to see if some scenes have a different “sound” because of this. There was a noticeable shift in my directorial style between GAOC and Etiquette (hey even I noticed it!). GAOC was very controlled and static – which is pretty much what the script called for. We stuck to the script pretty rigidly. To be honest I was probably somewhat daunted at how I should be treating actors and worrying more about the technicalities also. This time, being a comedy I was happy to let things be more spontaneous and dynamic. I’d like to think I spent more time working with the actors this time and letting them put their stamp on their characters (no idea if they would agree – but they are all still talking to me!). But it seems strange that on the film where I *did* know the actors I spoke less to them than on the film where I didn’t! I’m curious to see how the performances differ between the two. I haven’t entirely settled on a directing style yet, but would definitely say I was happier directing actors on Etiquette. This is almost certainly a confidence thing. GAOC we shot on Sony HDV Camcorders. It gave the film a somewhat “Security Cam” look which worked nicely for that project. We also used a lot of synthetic lighting. On this one I wanted a more “fluffy” warm natural look, I think I said to Adam Evans “a bit like those Richard Curtis romantic comedies” (eg. Four Weddings and a funeral, Notting Hill, Bridget Jone’s Diary). It was shot almost entirely using natural light. One of the benefits of using HD-DSLR Cameras is their ability to shoot in lower light. This said, it could equally be a curse as it was also very sensitive. We had to watch the lighting levels and white balances very carefully – especially when switching lenses or angles. The majority of the film was shot on 28mm and 50mm Canon lenses. Expect a radically reduced Blooper reel this time. I’m not sure if we got my favourite “self-inflicted” blooper recorderd from Etiquette, so I will share it here. We did a take where Trevor (Alex) meets Alison (Hope) who is dressed up in horse-riding gear as part of her character. We start the take and Alex goes “Good neigh, I mean day”. I shout cut! Obviously feeling slightly sleep deprived and suffering director overloaded, everyone looks at me – why did he cut? I respond “The line was fumbled” and then the penny dropped with Alex’s little improvisation. Needless to say I suspect “Good Neigh” will be appearing in the final version. On Etiquette we had people copying off memory cards frequently, batteries being recharged systematically, footage being reviewed. GAOC we didn’t have this luxury as we were shooting on tape (we did manage to get a Sony MRC1 for one weekend) which was a Godsend, but after capturing the majority of our footage in realtime, I vowed never to shoot on tape again! One thing which worked better on GAOC was the fact we had a two (and occasionally three) camera set-up. I personally love these as it saves so much time and continuity just flows between the two angles. On Etiquette we had one only one Canon EOS 5D and a Canon EOS 550D. Now a Canon EOS 550D and a 7D would probably cut together fine, they both share a cropped sensors. But the 5D is superior with a full-frame. It became apparent after a few tests that this was going to look a bit off. So whilst we still used the 550D for second unit bits and bobs, we shot all the actor angles on the 5D. This cost us a lot of time setting up reverse angles and doing re-takes. 10. Hey, I have a Producer! The biggest and most welcome change with Etiquette was that I didn’t feel like I had to do everything myself. I still stepped into the producer role occasionally and Sherilee also did more than just being a producer also. To be honest with GAOC I felt like I was spreading myself too thin, doing too much (which I also believe shows in the film). Having a producer to back me up took a huge weight off my shoulders. It was great knowing that I could trust Sherilee completely and hand things over without needing to worry. It’s only been a couple of weeks, but already I look back at the Etiquette shoot very fondly. There was a great cast, a great crew, we had tremendous fun, we are all keeping in touch and want to work together again! So in terms of the actual “production” filming, this “starter” project between Sherilee and myself has been a resounding success. Whether this also translates itself to the short itself remains to be seen, but let’s say I’m feeling optimistic and hope this is the start of something even bigger! Where are the charming Kirstie Allsopp and Phil Spencer when you need them? 🙂 Anyway it looks like we have secured our main shooting location in a sleepy little village just south of Banbury. My main concern is how on earth the cast and crew will find it, so better work on some location signs! We are only two weeks away from the shoot and I have to say I feel pretty daunted at this prospect right now (also have been smacked down with the almost obligatory October cold). So much to do! Have been chatting to a number of cast /crew members behind the scenes. Last night I met with Jim Gwilliam to discuss the project, on Monday I’ll be meeting with Rachael to discuss costumes in more detail, that should be fun. There has been also been quite a bit of banter between myself and DoP Adam Evans, we have now decided on the look for the film. We have a pre-production meeting planned for everyone next weekend – that in itself is proving to be quite an organisational undertaking. I’m sure it will all come together in the end, but already there are a significant number of compromises we have had to make on the project. I did get one person asking for more information about Gardening and other crimes film, which I am giving away as a perk on the IndieGoGo campaign. I could just send them a link but I always like to exceed expectations if possible. One of the things I never did with that project was make a trailer for it. So that’s exactly what I had a go at doing. This was in a somewhat unorthodox manner to my usual trailer method. Ordinarily when making a trailer I would find a music track which sets the pace/tone and edit the footage to the track. With this however, I edited clips together first and thought “I’ll write a trailer track specifically to accommodate this”. Whilst this method works well when editing an actual film scene, it is significantly more difficult to do this for a trailer. It hasn’t really happened therefore and I still haven’t come up with a track. I’ll probably write a track and then re-edit to this. Having said all this, I did somewhat bizarrely come up with this rather pensive piece which I called Serene Beauty. So much for trailer music, which was the original intention! It uses exactly the same chord progressions which were used for a piece in the original Gardening film score. Obviously the tone/orchestration is quite different, I loved writing the solo alto-flute melody. I was just playing around really, so thought I’d post this on! Meanwhile, with filming closing in – I may not have time to finish the trailer piece before shooting – I’ll keep you posted.